When you are searching for the perfect engagement ring there are many diamond cuts to choose from. 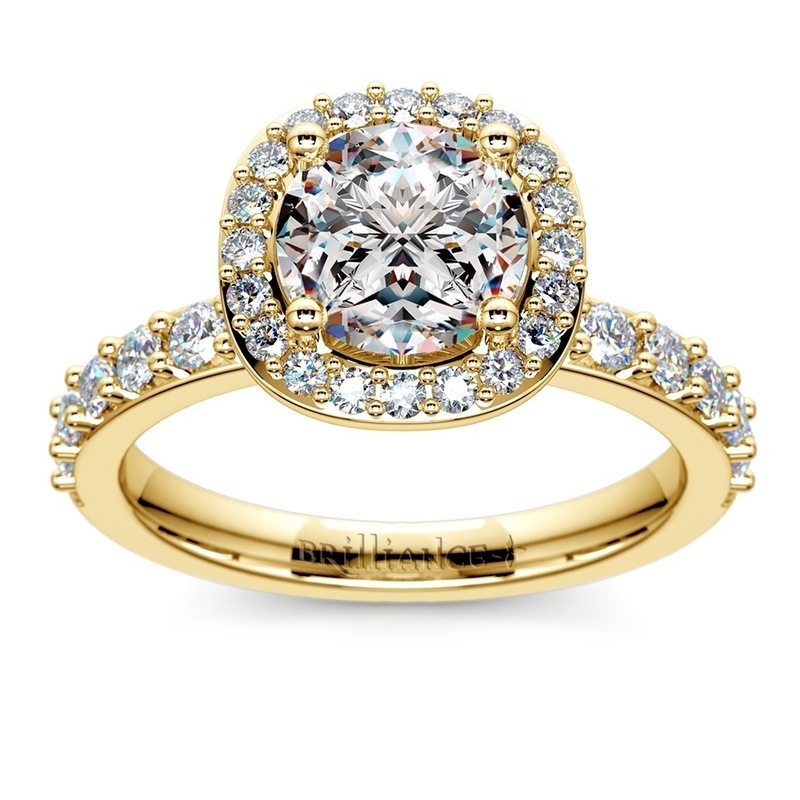 Would your fiancé love a princess, heart or oval cut the best? If she is a contemporary woman who is a princess at heart, then you may want to choose a Asscher-cut diamond for her engagement ring. The Asscher cut diamond shape is named for the company that created it. Joseph Isaac Asscher founded the I.J. Asscher diamond company in Holland 1854, naming it after his son. That son would go on to enter the diamond business like his father, and establish one of the most famous family dynasties in the diamond world. Today, the company is known as the Royal Asscher Diamond Company, with the fifth and sixth generations of the Asscher family running the company. The Asscher cut was created in 1902 by Joseph Isaac’s grandson, also named Joseph. The cut is similar to an emerald cut in a square shape, however Joseph Asscher modified certain criteria of the cut to leverage the beauty found within rough diamonds and product a more brilliant diamond. These criteria included larger step facets, a higher crown, and smaller table. The result is a diamond that has more weight than other cuts and a classic look. The cut has 58 facets and a wider set than a traditional emerald cut. The cropped corners give the Asscher-cut diamond the appearance of an octagon shape and a distinguished look that is often imitated but never duplicated. In fact, up until World War II, the Asscher family has a patent on the cut, and was the only company that could produce it. Though the Asscher cut declined in popularity in the later part of the 20th century, in 1999, Edward and Joop Asscher improved upon their ancestor’s design by creating the Royal Asscher cut. 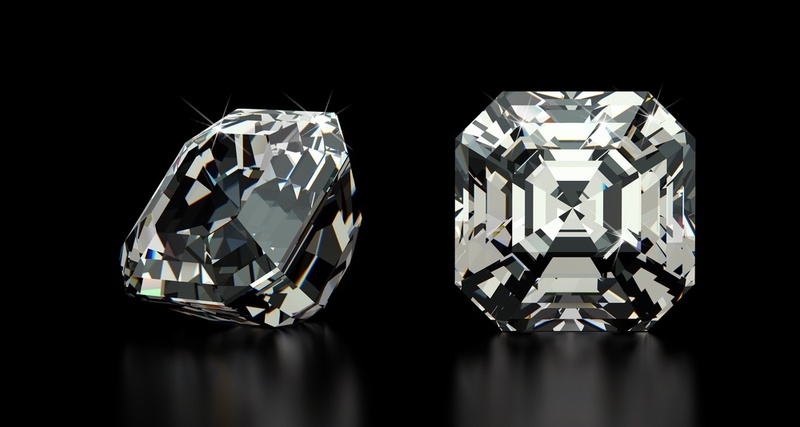 The Royal Asscher was created by using modern diamond-cutting techniques to improve the cut and quality of the traditional Asscher-cut diamond. They raised the crown and added more facets for a total of 74, but preserved the brilliance and classic look of the original design. The Royal Asscher is one of many reasons why the Asscher-cut diamond has made a major comeback in the past ten years, as one of the more popular, unique cuts for bridal jewelry. When you want an Asscher diamond engagement ring that is as beautiful and unique as your future bride, you will want to customize the design. This way you can select the perfect diamond, the right setting, even the metal that will enhance the diamond and pair nicely with your wedding bands. You can customize your engagement ring by finding pictures you like or putting your ideas on paper in a rendering artists can use for the design process. You can see a 3D image of your ring before you finalize the design before it is completed. Another option would be to go through a step by step online process as you look at common cuts, settings, and styles to make a ring that is as exceptional and lasting as your love for your bride. When you want the perfect ring you need to start with the perfect cut. Asscher-cut diamonds are created exclusively by the Royal Asscher Company and are double certified. Its beauty has withstood the test of time as a classic style fit for the blushing bride who looks like royalty as she walks down the aisle.